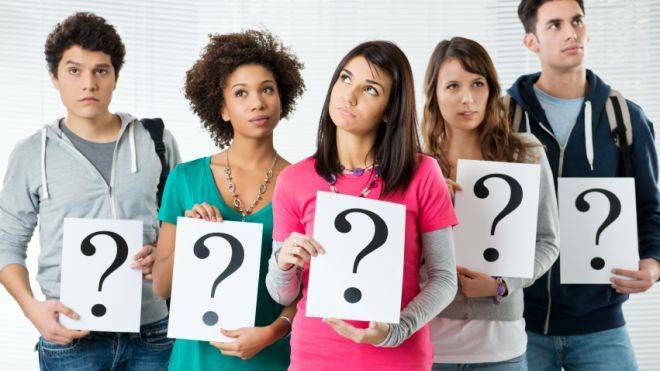 With many millennials beginning to enter the workforce, marketers and advertisers alike are scratching their heads in confusion. What is it about this generation that makes them so difficult to market to? Industry experts and business owners alike are in agreement that what used to work to gain business, simply does not work anymore. The consumer, now more then ever, has the right to decide whether they want to be marketed to or not. Inbound marketing tactics such as SEO, content marketing and social media are quickly becoming the best way to convert these young people into loyal brand advocates. Marketers know that as we grow into an even more interconnected and digital society, businesses must think outside the box with their strategies to reach this huge generational cohort. Print, television and paid placement ads are simply being ignored by millennials. What makes us millennials so resistant to traditional forms of advertising? Below are 3 major reasons why millennials hate traditional advertising. 1. Traditional advertisements are intrusive and in your face. There is nothing more frustrating than when you are conducting pre-purchase research and you are bombarded with advertisements you don’t want to see or care about. YouTube ads? I personally can’t wait for the moment that I can hit the “skip this ad” button. Television commercials? We fast forward right through them. That is, unless you haven't already cut the cord to cable and subscribed to Netflix. The fact of the matter is, millennials have become very good at blocking out advertisements and finding ways to get around them. Shoving your product or service in our faces will do nothing more than cause frustration and hurt your brand’s image and reputation within this generation. And, as the millennials’ purchasing power steadily increases and they become more active consumers, it is important to build a strong reputation with them to gain their trust and business for years to come. 2. Traditional ads aren’t genuine and we don’t trust them. Millennials have a genuine desire to make a positive change in the world. We care about causes and we like when companies do too. Companies such as BP and Exxon have been putting a bad taste in our mouths since our adolescence. The negative press associated with many major corporations has made us skeptical about the ethics of many businesses operating today, including their marketing and advertising departments. Advertisements are often seen as tricky and manipulative in the eyes of millennials and they can smell them out like a drug sniffing dog. In order make any sort of impact, companies must establish themselves as experts in whatever industry they are aligned with. They must be real, credible and most importantly authentic. Generating content that is engaging, shareable and informative is the best way for companies to reach this customer segment. Utilizing gamification, contest or sweepstakes can be an extremely engaging way to market to this younger demographic. A recent example of this is the ALS Ice Bucket Challenge where everyone from school teachers to athletes and celebrities dumped ice water on themselves to raise awareness for ALS. The results were remarkable in that millions of dollars were raised for the organization and they never asked for a penny. Fun contests and marketing campaigns such as this have the unique ability to capture the attention of young adults and in turn persuade them to get behind an organization or a cause. 3. We like to search out and make our own decisions about companies and our purchases. If one thing is for certain, it is that millennials do not like to be told what to do. We are skeptics of everything around us, constantly fact checking people, companies and ideas on our smartphones in order to get the correct information. Millennials won’t buy into your attempts and ultimately they won’t buy your product or service either. This makes the importance of having an online presence, being visible and easily accessible to this generation all that much more important. Effective SEO and a social media presence will allow millennials to easily find your product, service or website when they search relevant queries. After all, because they are going to search out for what it is they are looking for, you need to be able to ensure that your business will be easily found. So stop wasting your time with overly intrusive advertisements that do not work. Invest in inbound marketing and pull millennials and customers in rather than shoving your business down their throat. Our millennial generation, like it or not, are the next movers and shakers in this world. We will be writing the checks for the foreseeable future. So if you aren't effectively reaching this demographic, you must adjust your marketing strategy in order to engage with them and to be easily found by them online. And, while this is definitely a cliché, it rings true each and every time when it is applied to your website and its user experience. When you begin to make decisions about the user experience of your website and what you are going to say on your website, it is always important to first consider your target market. Often times, we get so caught up in SEO that we forget that we aren’t writing our content for search engines, but rather for our current and prospective customers. 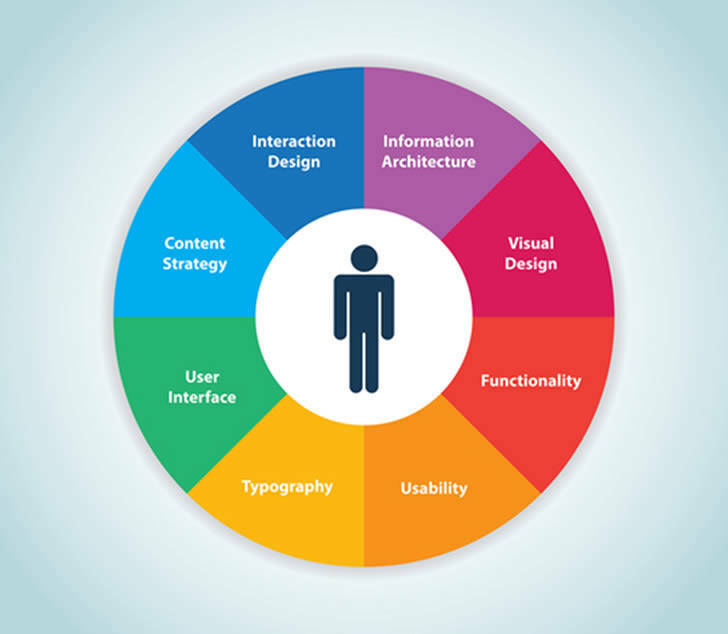 Essentially, UX is the process of enhancing the consumer’s experience on your website by improving upon the functionality, ease of use and interaction between the website and the user. UX is a very important aspect of not only the effectiveness of your website, but also its SEO strategy. Consider this analogy; SEO is the bait and UX is the hook. On their own, they serve little purpose, but, when used together, they can help you to reel in the big fish. Unique quality content is favored very highly by search engines and when you develop your sites content and incorporate keywords, you are effectively killing two birds with one stone by optimizing your site and creating a favorable UX. However, increasing the traffic to your site with SEO is one thing, but if these users aren’t spending any significant time on the website, then it is highly unlikely that they will ever become a customer. This is why having an awesome UX is so important to have dialed in. Examining the bounce rate of your site can give you clues to how engaging your web copy truly is. Ideally, minimizing the bounce rate of your site will positively correlate with increasing your site’s conversion rate and paint a picture of the overall effectiveness of your website. What is it about a website that makes you trust a company? What do you look for on a website when you are conducting your pre-purchase research? What kind of elements do you enjoy and find engaging? Is it videos, pictures, detailed text content? What elements do you dislike about certain websites? What drives you to leave a website immediately after going to it? By asking yourself some of these simple questions and putting yourself in your customers’ shoes, it becomes easier to identify certain aspects that will make your website successful. From there, developing a UX that captivates and engages the user becomes that much easier. It gives you a starting place for creating compelling content that is communicated effectively and clearly defines what your product or service does and how it can benefit the end user. Remember to focus on not only getting your target market to your website, but keeping them on the site and converting them into customers. The better informed and engaged your customers are, the more likely they will become loyal and enlist in your offerings. If you have any questions, need any clarification, or simply have an opinion about UX that you would like to share, drop us a line or reach out to us on social media. 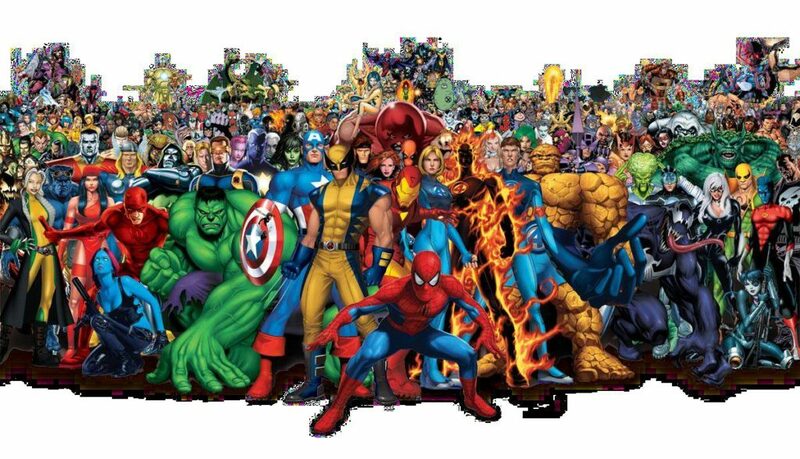 When we dive deeper into the fundamental aspects surrounding comic books, we can see that there is in fact something to be learned from the stories and the heroes. There are ideologies that can be borrowed and applied from these masked heroes that can help us to better understand how we should form our marketing messages and our brand identities. Below are 6 lessons that comic books can teach us about our digital marketing strategies. If there is one consistent theme in comic books, it is that nothing is impossible. With the proper work ethic, a motivated team and maybe a little bit of luck, you can achieve the marketing goals that you have set for your business. Setting up a digital marketing campaign can be overwhelming, foreign and all too time-consuming for many business owners. However, you are not alone. Often times, business owners struggle with the task of balancing business operations and their marketing efforts. With a clear set of goals and the right team for the job, you can slowly and steadily work your way towards a successful marketing campaign. Could you imagine reading a comic book without any images to help paint the picture for you? It wouldn’t be anywhere near as entertaining for the reader. Likewise, having your website looking sharp and visually appealing is something that many businesses do not take the time to consider. The user experience of your website can have a dramatic effect on the amount of time a person spends on your site. As a business, you want them to stay on your site as long as possible in the hopes that they will inevitably take action. Design your website to appeal to your customers in a way that will engage them. Furthermore, incorporate visuals into the content that you create. Add pictures, videos, or infographics to your blog to encourage sharing. People respond differently to visuals and research suggests that images on social media platforms are far more likely to be clicked on, shared or retweeted. In comic books, superheroes are always willing to take risks for the greater good of society. Let’s face it; sometimes you have to break a few eggs to make an omelette. Effective digital marketing is the exact same in that if you aren't taking risks, you won’t get noticed. Sometimes putting together a campaign that is different or against the status quo can help your business stand out amongst the clutter of competition. Branch out and try something new. 4. You can’t always do everything alone. Batman has Robin. Wolverine had the rest of his X-men cast. The fact of the matter is that if you are trying to go it all alone, you are setting yourself up for failure. There is nothing wrong with getting a little bit of help along the way, and, in terms of marketing, having a knowledgeable team to support you and have your back is extremely beneficial. Steve Jobs, Apple’s founder, famously said that what sets apart those that do from those that dream is that they ask for help and are not afraid of failure. In comic books, the villains always find themselves asking for too much and inevitably they get themselves caught. This can easily be related to SEO because often times businesses will do whatever they can to boost their rankings, not realizing that there is no fast-pass to the top. Avoid taking shortcuts with your SEO such as acquiring sketchy back links, using keyword stuffing or any other “black hat” SEO tactics. These are going to do nothing but worsen your rankings and potentially get your site removed from the SERP’s altogether. SEO simply doesn’t happen overnight. Slow down, put in the work, and you will soon see the fruits of your labor in the form of higher rankings and more website traffic. 6. With great power comes great responsibility. This is the classic cheesy line from Spiderman that all superheroes live their life by. However, in terms of marketing, I find the opposite to be true. As business owners and marketers, we are not only able to influence people to purchase our products or services, but also buy into our ideas and beliefs. Take responsibility for what you are trying to accomplish with your marketing. Create positive messages for your target market and utilize goodwill. If you put the time and effort into your marketing strategy, you be able to develop a powerful approach that can greatly influence your customers and those around you. On a final note, marketing may not involve super heroes that can fly and save people. However, there are some underlying elements that we can relate to and learn from as we work towards achieving marketing success. Let us know what you think by dropping us a line or reaching out to us on social media! 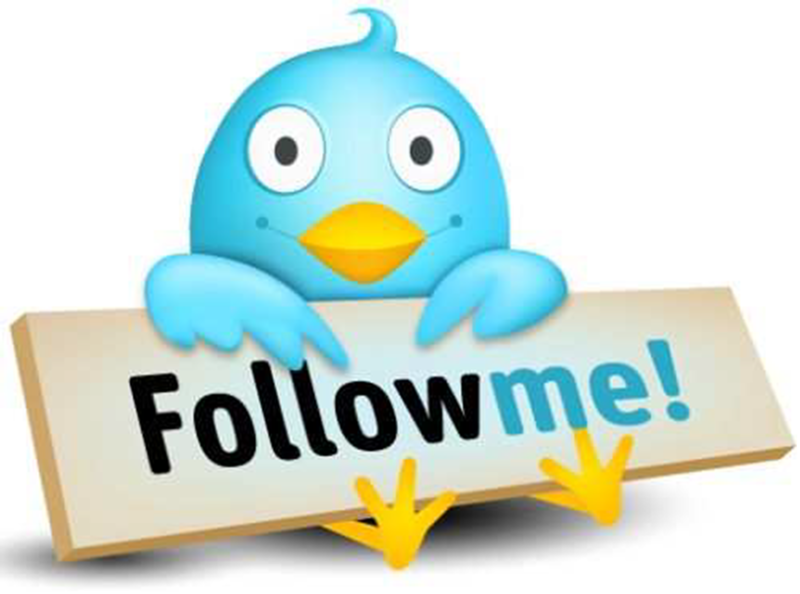 Buying Followers: Is it a Good Social Media Strategy? For most new businesses, setting up and becoming active on social media is often the first step in their digital marketing campaign. However, for some, it can be an extremely daunting task. From deciding on what to post about and how to gain followers, it often becomes difficult to determine where to begin. One question that comes up time and time again is whether or not to buy followers or likes on social media platforms. This, after all, is a valid question because the purpose of social media is to connect with as many potential customers as possible in an effort to get them to buy your product or service. However, does buying these followers actually give you access to more of your target market or niche? More often than not, the answer is no. Buying followers or likes does not guarantee that these people would buy your product or service. It doesn't even guarantee that they care at all about what your business does or that they are even real humans to begin with (i.e. Twitterbots). Purchased followers are typically fake profiles that do little else than inflate your follower count without offering any of the benefits of interaction and meaningful engagement. Therefore, it isn’t about the number of followers that you have on your Twitter account; rather, it is about the quality of followers that you have. 100 active and engaged followers is far more likely to generate sales leads than 10,000 followers that don’t have the slightest care in the world about what your business does. Having a large number of followers does not give you the power to drive customer action, and, if the majority of these followers are uninterested, it does little to drive awareness for your business as well. Therefore, as a small business owner, it is important to focus on reaching out and engaging with people who have a genuine desire for what your business does. If you are a doctor, talk about ways that your patients can strengthen their immune system with weekly tips on Twitter. If you are an accountant or bookkeeper, distribute an article on surviving tax season that informs your current clients on best practices. With a little bit of effort and management, you can organize your social media campaign around SEO enriched content that your followers find interesting and care about. This, in turn, will give them the opportunity to learn about your expertise and also give them the opportunity to find and interact with you and your business. Always think back to the 80/20 rule, in that 80% of your business is derived from 20% of your customers. Likewise, having a smaller amount of quality connections that you engage with on social media will have a greater effect on your business than targeting a vast amount of uninterested followers. Focus on these loyal customers and do what you can to provide content that they will find interesting and share with their peers. Twitterbots and fake accounts in India are not going to do anything to drive customers to your business. So, for small business owners starting out on social media always remember this: Quality Over Quantity. Followers that you earn organically are the people who will click on your links, go to your website, read your blog posts and ultimately become one of your customers. If you have any questions or simply want to discuss this further, please do not hesitate to contact the SEO Management Team.